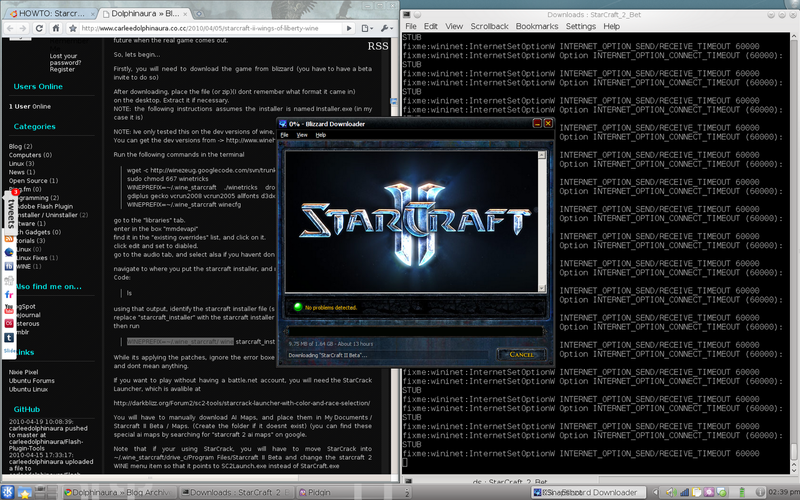 Thoughts on Technology: Some WINE with your Starcraft 2? As a fellow Linux user, I am thrilled that WINE is usable for something other than ies4linux . I am deeply impressed, as I have had trouble running older titles under WINE before. Thanks for being the guinea pig on this one. I play WoW on native Wine for some time now. No bugs, no problems. Right on Jeff, awesome post! I think I might pre-purchase this game... hopefully it will stay working in Wine. Aside from using OpenGL instead of DirectX, It would be nice if gaming companies would help to make sure their games run really well on Wine. "Certified to Run in Linux with Wine" - This would be something they could sell to Linux users. Google is working on WebGL, hopefully this will change the direction of gaming, as in moving it away from being platform-specific. Is your G/F still liking Mint? 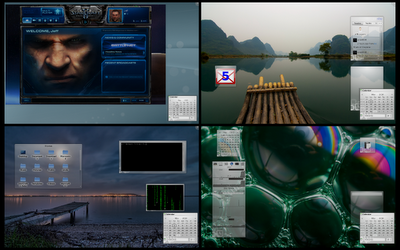 Games were the only reason I held onto Windows through 2008. I finally decided games weren't important enough to keep a version of Windows on one of my hard drives. I'm thrilled to hear that SC2 is works with WINE. I'm enough of a Diablo fan to have considered using Windows again when D3 comes out. You've given me great hope I won't have ANY reason to ever use Windows again. As for SC2... I love it! I just need to get my new build order do for the new unit sets. 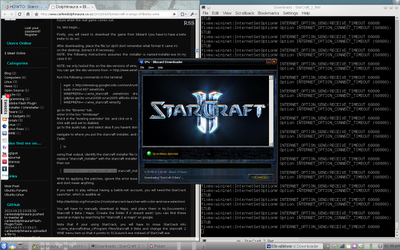 I feel like I am the only one who cannot manage to get sc2 running under wine. I tried patching it so it did not crash when I tried to log in but now it crashes after the load screen. I am trying to run it using an NVidia 8800 GTS with 195.36.15 drivers. What video card are you using? 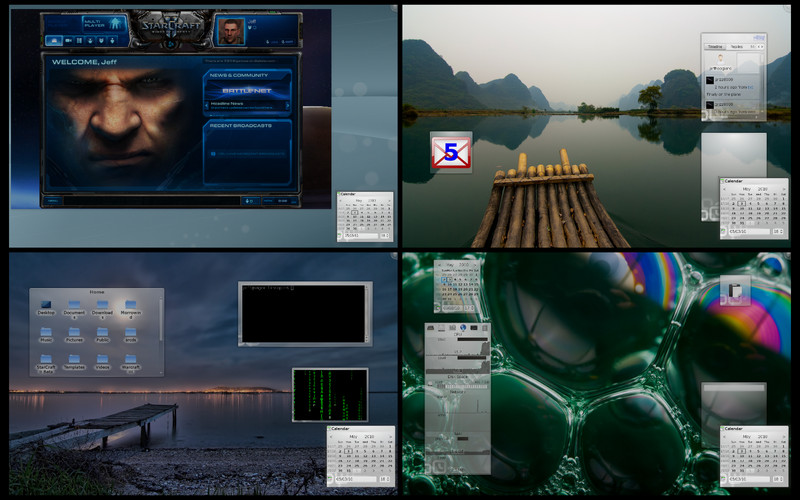 Do you recommend for Linux+Wine+3D? to the key has been distributed? OMG it means i really did not get one as I am also waiting for it. anyways, thanks for sharing for it. I am not accustomed to Ubuntu technology but so far i like it :), is there any "simple way" :P, to install starcraft2 using Wine ?? @Alex - The simplest way is to just follow the guide that is posted on the Wine AppDB. It is a custom compile of Wine, but really it is fairly straight forward. I'm not into StartCraft but I did buy Left 4 Dead and one trick that really helps with performance is to use Windowed full screen vs just full screen. I'm don't really know why but I'm interested to see if this helps with performance. It brings us wonderful experience.